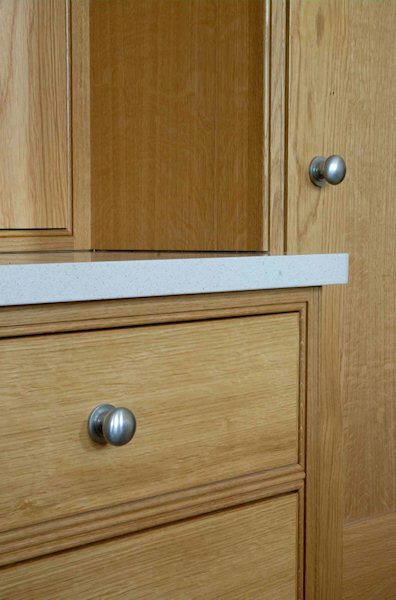 Adam architecture designed stand alone cabinets with stunning paint finishes. 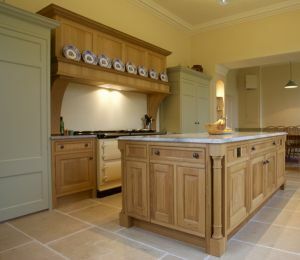 Winchcombe Farm Designed and manufactured. 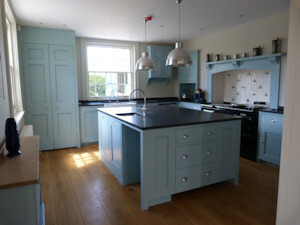 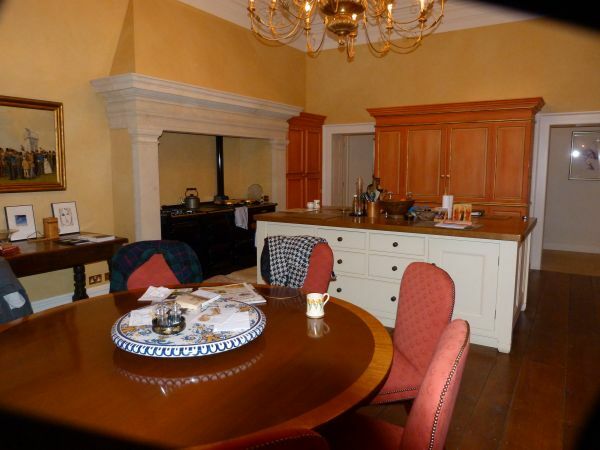 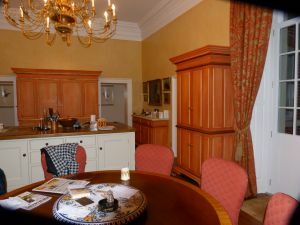 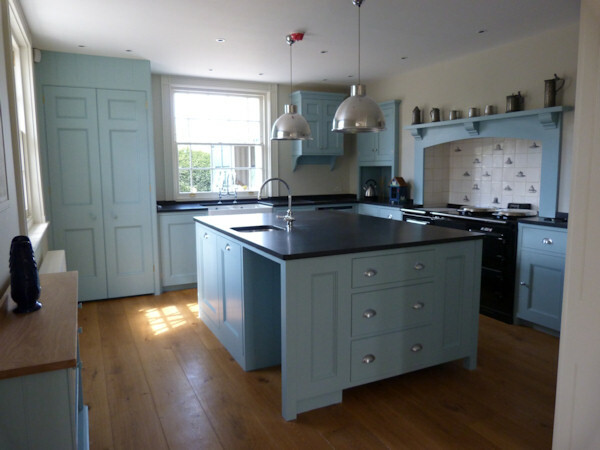 Adam Architecture designed kitchen and breakfast room painted in a stunning dark duck egg blue set off with slate tops. 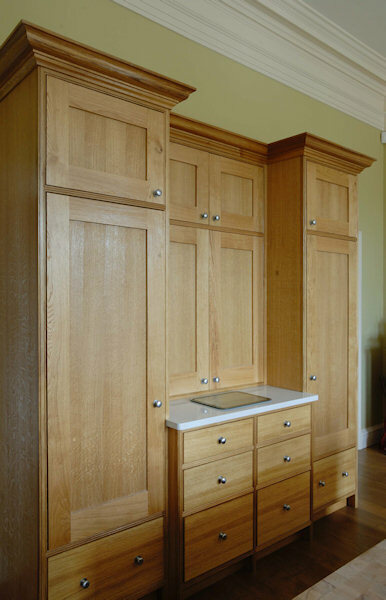 Design by Robert Adam Architects in European Oak with a natural oiled finish. © Winchcombe Farm Designs ltd.
Winchcombe Farm Designs Ltd is a small company in Berkshire, highly specialised in hand built staircases and cabinet making. Our cliental, as you will see from our photographs, expect the highest standards. 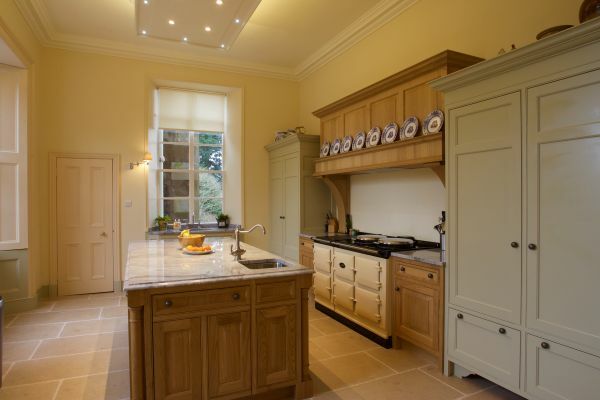 Traditional construction methods are used together with modern machinery. Our curved handrails are all hand carved to very precise designs and measurements creating geometric curves only achievable when hand made. 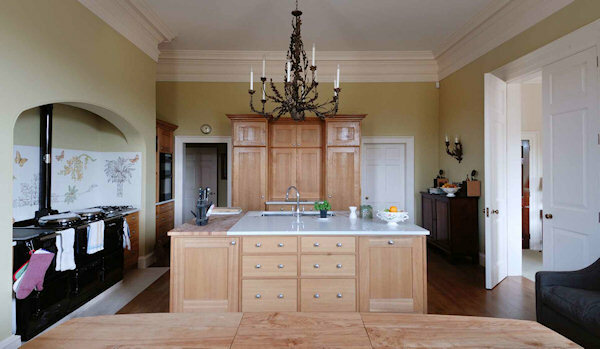 Because all our quality timber staircases are handmade, we are able to offer a wide range of designs, including hand carved handrails and staricase balustrades, cut string staircases, closed string staircases , beautiful helical and spiral timber staircases to your design.